You can also demand justice for a trans woman who died in ICE custody and ask your representative in the House to vote to save net neutrality. This week’s Take Action Now is focused on our government’s horrific treatment of Puerto Ricans after Hurricane Maria, justice for a trans woman killed in ICE custody, and the fight for net neutrality in the House of Representatives. Take Action Now gives you three meaningful actions you can take each week, whatever your schedule. Sign up here to get actions like these in your inbox every Tuesday. 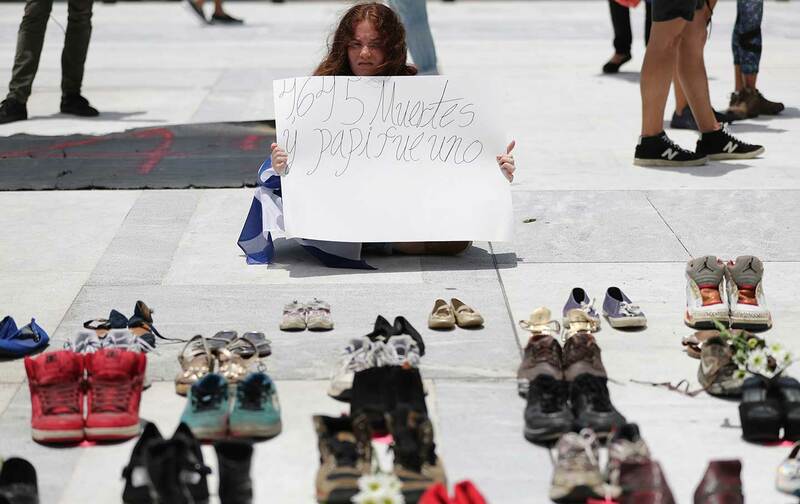 Last week, a Harvard study revealed that as many as 4,645 people (more than seventy times the initial government estimate) may have died in Puerto Rico after Hurricane Maria hit the island last year—and many members of the media have essentially ignored the news. Read the heartbreaking stories shared through the hashtag #4645Boricuas and make sure everyone in your network is aware of and ready to demand justice for the US government’s criminally negligent treatment of the people of Puerto Rico. On May 25, Roxsana Hernández, a 33-year-old trans woman from Honduras seeking safety in the United States, died in ICE custody. Detention centers have a reputation for housing immigrants in freezing-cold cells and for neglecting their medical needs, and trans immigrants often face additional barriers and abuses. Join a Justice for Roxsana event in your area this Wednesday, June 6. If you’re unable to attend, share the statement and demands released by the Transgender Law Center, Familia: Trans Queer Liberation Movement, and Organización Latina de Trans en Texas or use the hashtag #JusticeforRoxsana to spread the word about Wednesday’s actions. The FCC’s plan to destroy net neutrality will go into effect on June 11. The Senate has already voted to reverse this disastrous plan, and now the fight moves to the House. Head to your representative’s office this Thursday, June 7, to demand that they join their colleagues in rejecting the FCC’s plan. If there isn’t an event scheduled near you, you can sign up here to host your own.